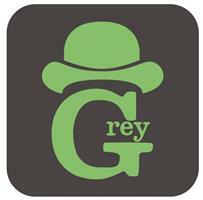 Grey Renovations, Painting & Decorating - Home Improvements, Painter/Decorator based in Westcliff-on-Sea, Essex. Grey Renovations was founded in 2014 , initially as a one man business with a City and Guilds in painting and decorating and years of practical experience. Since then we have started to build up a loyal customer base in the Leigh, West Cliff, Upminster ,Basildon and the Brentwood area (and sometimes further a field in Essex and Kent through recommendations ). I now have another full time member of staff who enables me to offer a wider range of services and take on larger jobs. Most of aspects of carpentry can be under taken (wooden floors, door hanging, skirting boards, decking to name a few) and tiling for kitchens and bathrooms (wall and floors). On certain jobs or when the work needs additional people due to size or the need to get the work finished for a dead line, we have the luxury of being able to call on experienced professionals we trust. I like to treat customers, their properties and the work carried out with the respect and care as I would be in my own home. We are now lucky to have private and commercial customers and many landlords who call on us to not only decorate but maintain their properties. Interior and exterior work is carried out, lining wall papering and feature walls. We also offer a handyman service incuding flat pack furniture building, shelf hanging and much more which we charge per hour for, so you only pay for our time at your property. All size jobs considered and under taken .